Everyone longs to be successful but very few have a clue of what true success really means. 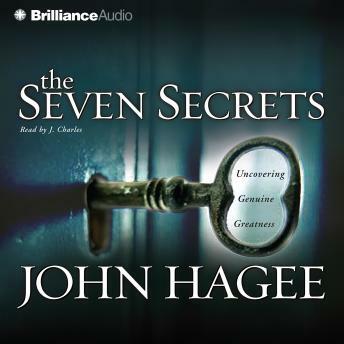 Pastor John Hagee explores seven areas of life that help readers recognize and define genuine greatness in their lives. Listeners will learn how to press in closer to their potential, overcome their frustration in current situations and achieve great things by using godly principles to resolve difficult issues. Here are a few topics that Pastor Hagee discusses in this motivational message: Entering the School of Success (A Personal Story) False Definitions of Success The Real Picture of Success The Secrets of Attitude, Perseverance, Self-Esteem, Self-Mastery, Communication, Prosperity and Prayer The Challenge Those looking for suggestions about improving personal effectiveness and personal growth will both enjoy and benefit from The Seven Secrets.